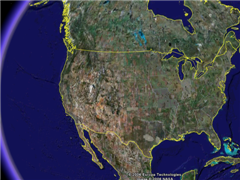 Click here to download Google Earth, Google’s virtual Earth program using satelite images to show you locations all around the world. It comes as part of the Google Pack, and includes Firefox, free anti-virus, free anti-spyware and more, select all or none, it’s up to you. 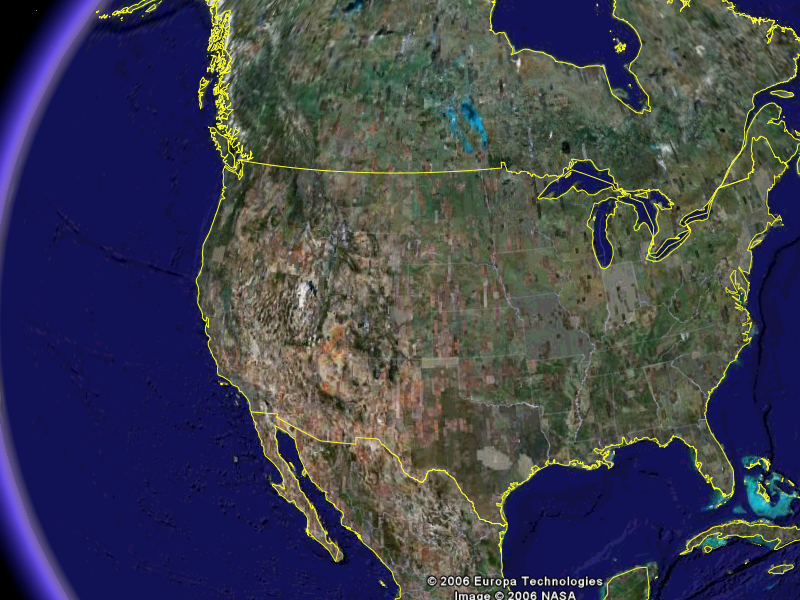 If you are looking for a good virtual map of Earth, then you need to check out Google Earth. If you want to know about a specific location? Then you REALLY need to check out Google Earth. The good thing about this program is you can dive right in — Google Earth uses satellite imagery, maps and the powerful Google Search to put the world’s geographic information at your fingertips, and in 3d. Look at your neighborhood, your house and your friend’s houses, view relatives houses and neighborhoods, even if they live thousands of miles away, it’s all there in the satelite images of Earth. Here is a screenshot from Google Earth. Click this image for a full size image, it will open in a new window, and is over 900k. 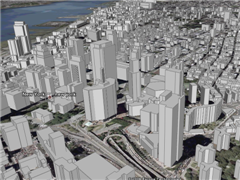 Here is a screenshot of the 3d buildings, this is New York. Click this image for a full size image, it will open in a new window and is over 600k. Fly from space straight to your neighborhood, or some exotic locale. Type the address in and zoom right in. You can search for your school, parks, restaurants that you like, even hotels and you can get driving directions. 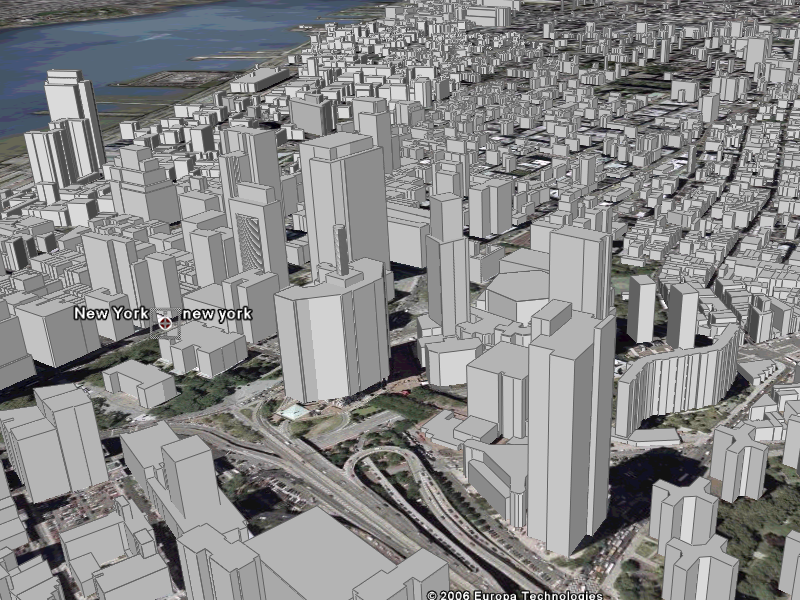 It lets you tilt and rotate your view so you can see the terrain and buildings in 3D. You can even save and share your searches and your favorites and add your own comments. Google has just released a new version, Google Earth 4 beta with several new features and a couple features from the Plus version, which will cost you $20 a year, are moved to the free version. You can now draw paths and polygons with the new free GE 4. Other new features include: new icons for placemarks, faster loading 3D models, improved lighting for 3D models (much better), and printing of driving directions and folders. Here is the latest news on the [tag]Google Earth[/tag] from Google News about all of the different ways you can use the Earth imaging software. If you have questions like can my computer run Google Earth, or when were these pictures taken, then check out the Google Earth FAQ that answers these and many other questions. Download Google Earth from here. This page is for you even if you accidentally mis-spell it like goggle earth or goole earth and you certainly don’t need any goggles to see it. There are three versions of Google Earth available, the versions you pay for give you more detailed satelite images, can be used with a GPS, eamil support and more. Google Earth - This is the free version we talked about above, includes the fly to, searches, printing, saving, emailing, and placemarks mentioned above, it has support only via website and a limit of 1000 px per printed or saved image. Google Earth Plus – $20 subscription-based annual fee. This version has enhanced performance, a limit of 1400 px per printed image and 1000 px per saved image. It can be used with GPS device, the optional business ad feature, and has support via website and email. Google Earth Pro – $400 subscription-based annual fee. This version is for professional use and has the fastest performance of all three versions and limit of 4800 px per printed image and 4800 px per saved image. It can be used with a GPS device, has the optional business ad feature, and it has support via email, website or chat. Modules are available for data importing, movie making and premium printing and has otional GDT traffic counts data. Looking for more info? Search for Google Earth at our technology search engine, Serpsville.com and check out Virtual Earth Imaging with Google Earth for some good links to some Google Earth Layers. Check out the Google Earth videos we have added to our video section. I used to browse the World using Google for years, as a tool to study for my own, and because we live in very poor country we are unable to travel everywhere. Anyway, thanks for Google teamwork, and I hope if I can help to support them oneday.